In view of the rising popularity of the MAN ME-B Engines, MAN Diesel has introduced a brand new 4 days specialized training course in India. This course covers the below topics along with various case studies and service experiences of the ME-B Electronic fuel injection Engines. The MAN B&W ME-B engine series offers optimal engine performance in powerful economic, weight-saving and future-oriented diesel engines. 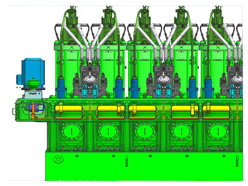 It is the need of the hour to train the Marine Engineer in the safe operation and maintenance of the electronically controlled low speed diesel engine. 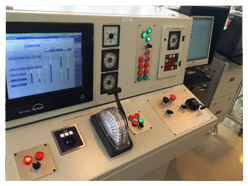 Training is carried out on a full mission ME Simulator, so that crew can get realistic hands-on training.